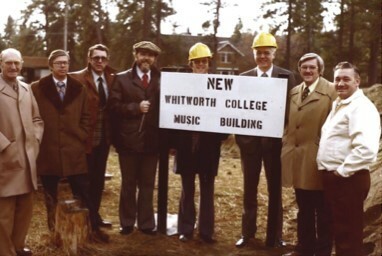 Music filled the halls of the new Whitworth Music Building on February 26th, 1978. At the dedication, then-President Edward Lindaman, Music Professor Dr. Richard Evans, and many others spoke on behalf of the Whitworth community to celebrate the recently completed building. 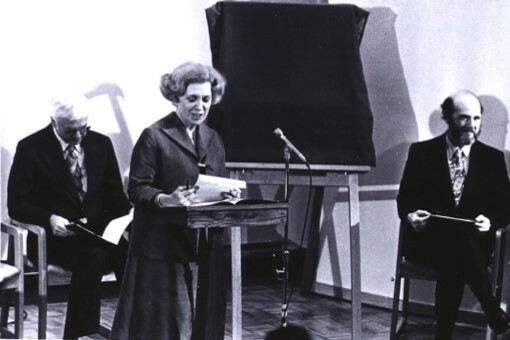 Having spent many years sharing space with other programs, the Music Department was ready to grow into a new space and benefit from practice rooms, a recital hall, rehearsal spaces, and teaching studios. In the early days of Whitworth’s music program, the department was housed in a small alcove of Graves Gymnasium. Over the next forty years, the program grew significantly to include Concert Band, Choir, Jazz Ensemble, and Community Orchestra. Soon, the limited space available became inadequate to accommodate the 64 music majors and many non-majors in the program. A $1.5 million donation from the Cowles family allowed this need to be fulfilled. 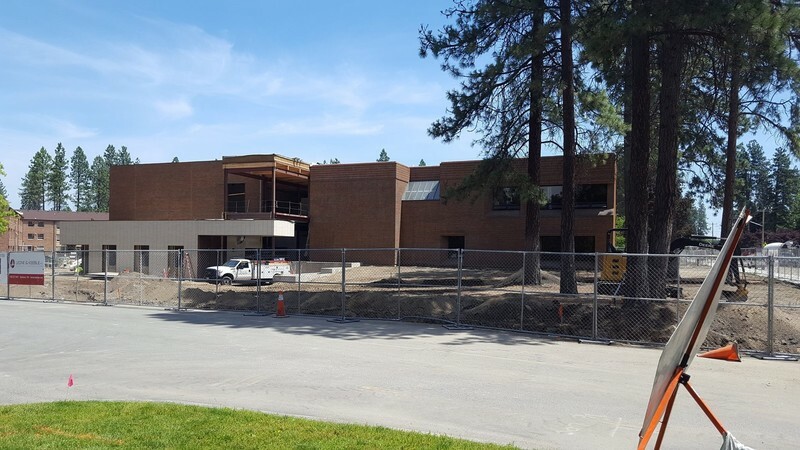 In the fall of 1976, construction began on the building, which was designed by the Spokane architectural firm Trogdon, Smith and Grossman. The structure was designed to stylistically match the other campus buildings as well as to be acoustically and energy efficient. Thus, the completion of the project, one and a half years later, was cause for much celebration. The new building not only provided new rehearsal spaces, but also promoted community involvement in the arts and music at Whitworth. 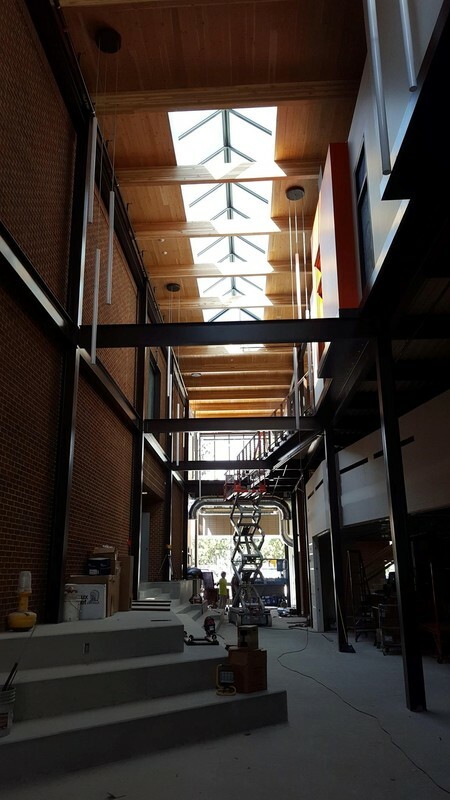 Under the roof of the new Music Building, the Music Department continued to grow. In 2014, an additional donation of $5.75 million from several donors funded an expansion of the existing building. This expansion added 21,481 square feet of space for new rehearsal rooms, practice rooms, and teaching studios to accommodate the department’s significant growth. It also provided a lounge area to create a pleasant and welcoming atmosphere for students and faculty. 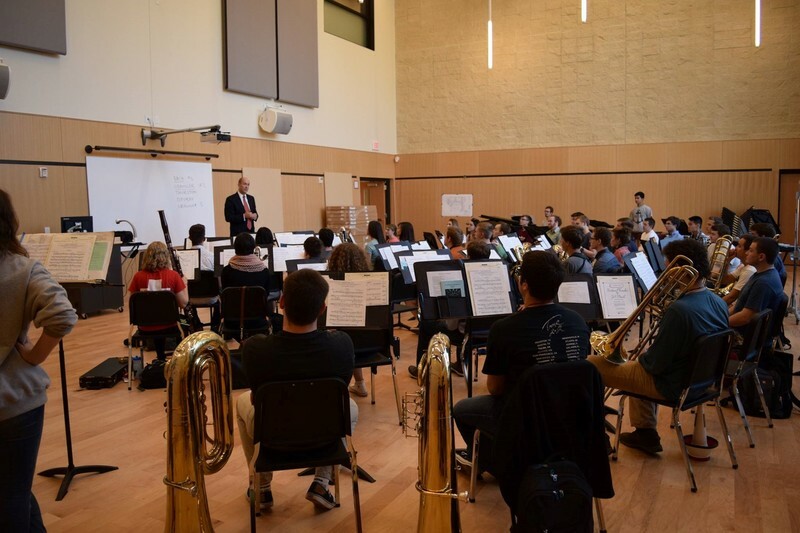 Today, the Whitworth University Music Department is a thriving program with more than 20 music ensembles (including the Wind Symphony, Symphony Orchestra, Jazz Ensembles, and Choir), 80 music majors, and roughly 35 faculty members. Several hundred students are involved in the department, both majors and non-majors. Each year, many of Whitworth’s musical groups tour the Pacific Northwest and, occasionally, the world. These groups are also connected to local churches, schools, and symphonies. With the Cowles Music Center as its home, the Whitworth Music Department impacts the region with its graduates, ensembles, and its passion for creativity and knowledge. Hannah Fulton, “The Music Building: The Loudest Building on Campus,” Spokane Historical, accessed April 19, 2019, https://spokanehistorical.org/items/show/791. Francovich, Eli. The Spokesman Review. “Whitworth music building remodel underway,” 16 November, 2015. Whitworth Digital Commons. Alumni Magazine October 1976. Available at: https://digitalcommons.whitworth.edu/cgi/viewcontent.cgi?article=1337&context=alumnimagazine. Whitworth University Archives. Whitworth Music Building.